Second suicide bomber passed through Greece refugee station, report says. 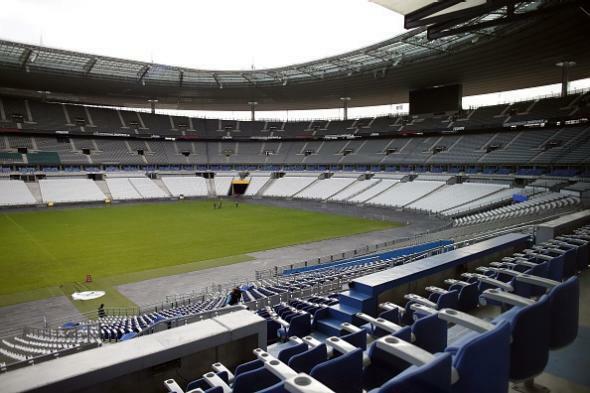 The Stade de France near Paris in a photo taken Nov. 17, 2015. A new Stade de France suicide bomber, who blew himself up at 21.30pm on Rue Rimet, H Door in St Denis, was formally identified and his fingerprints matched those of someone who passed through Greece on the 3 October 2015. It was during this same immigration check that the other suicide bomber who blew himself up at 21.20pm at D door of the Stade de France had his fingerprints registered. The other identified perpetrators of the Nov. 21 attacks were French nationals; purported attack planner Abdelhamid Abaaoud, who was killed this week, was Belgian.